Today only about 10% of discarded plastic in the United States is recycled. Unlike other forms of trash, such as food and paper, most synthetic plastics cannot be easily degraded by live microorganisms or through chemical processes. As a result, a growing plastic waste crisis threatens the health of our planet. It is embodied by the Great Pacific Garbage Patch – a massive zone of floating plastic trash, three times the size of France, stretching between California and Hawaii. Scientists have estimated that if current trends continue, the mass of plastics in the ocean will equal the mass of fish by 2050. Making plastics from petroleum also increases carbon dioxide levels in the atmosphere, contributing to climate change. Much of my work has been dedicated to finding sustainable ways to make and break down plastics. My lab and others are making progress on both fronts. But these new alternatives have to compete with synthetic plastics that have established infrastructures and optimized processes. Without supportive government policies, innovative plastic alternatives will have trouble crossing the so-called “valley of death” from the lab to the market. 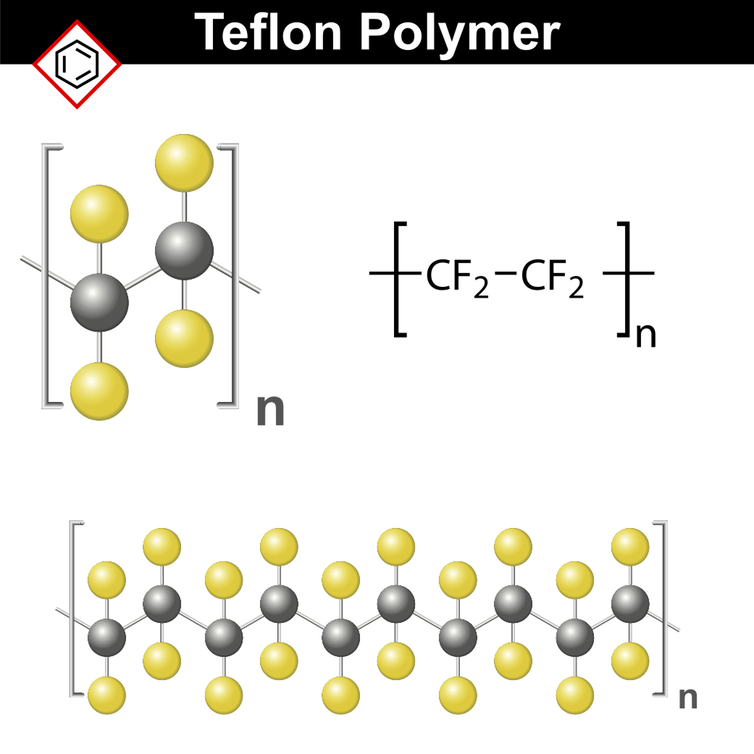 All plastics consist of polymers – large molecules that contain many small units, or monomers, joined together to form long chains, much like strings of beads. The chemical structure of the beads and the bonds that join them together determine polymers’ properties. Some polymers form materials that are hard and tough, like glass and epoxies. Others, such as rubber, can bend and stretch. For centuries humans have made products out of polymers from natural sources, such as silk, cotton, wood and wool. After use, these natural plastics are easily degraded by microorganisms. Synthetic polymers derived from oil were developed starting in the 1930s, when new material innovations were desperately needed to support Allied troops in World War II. For example, nylon, invented in 1935, replaced silk in parachutes and other gear. And poly(methyl methacrylate), known as Plexiglas, substituted for glass in aircraft windows. At that time, there was little consideration of whether or how these materials would be reused. Modern synthetic plastics can be grouped into two main families: Thermoplastics, which soften on heating and then harden again on cooling, and thermosets, which never soften once they have been molded. Some of the most common high-volume synthetic polymers include polyethylene, used to make film wraps and plastic bags; polypropylene, used to form reusable containers and packaging; and polyethylene terephthalate, or PET, used in clothes, carpets and clear plastic beverage bottles. Today only about 10 percent of discarded plastic in the United States is recycled. Processors need an input stream of non-contaminated or pure plastic, but waste plastic often contains impurities, such as residual food. Batches of disposed plastic products also may include multiple resin types, and often are not consistent in color, shape, transparency, weight, density or size. This makes it hard for recycling facilities to sort them by type. As most consumers know, many plastic goods are stamped with a code that indicates the type of resin they are made from, numbered one through seven, inside a triangle formed by three arrows. 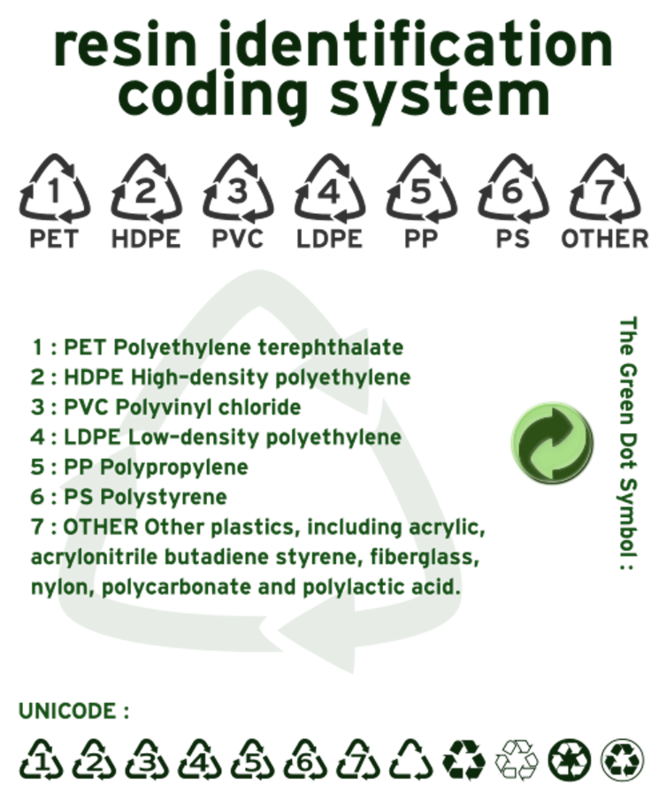 These codes were developed in the 1980s by the Society of the Plastics Industry, and are intended to indicate whether and how to recycle those products. However, these logos are highly misleading, since they suggest that all of these goods can be recycled an infinite number of times. In fact, according to the Environmental Protection Agency, recycling rates in 2015 ranged from a high of 31 percent for PET (SPI code 1) to 10 percent for high-density polyethylene (SPI code 2) and a few percent at best for other groups. In my view, single-use plastics should eventually be required to be biodegradable. To make this work, households should have biowaste bins to collect food, paper and biodegradable polymer waste for composting. Germany has such a system in place, and San Francisco composts organic wastes from homes and businesses. Since modern plastics have many types and uses, multiple strategies are needed to replace them or make them more sustainable. One goal is making polymers from bio-based carbon sources instead of oil. The most readily implementable option is converting carbon from plant cell walls (lignocellulosics) into monomers. As an example, my lab has developed a yeast catalyst that takes plant-derived oils and converts them to a polyester that has properties similar to polyethylene. But unlike a petroleum-based plastic, it can be fully degraded by microorganisms in composting systems. It also is imperative to develop new cost-effective routes for decomposing plastics into high-value chemicals that can be reused. This could mean using biological as well as chemical catalysts. One intriguing example is a gut bacterium from mealworms that can digest polystyrene, converting it to carbon dioxide. Other scientists are developing high-performance vitrimers – a type of thermoset plastic in which the bonds that cross-link chains can form and break, depending on built-in conditions such as temperature or pH. These vitrimers can be used to make hard, molded products that can be converted to flowable materials at the end of their lifetimes so they can be reformed into new products. It took years of research, development and marketing to optimize synthetic plastics. New green polymers, such as polylactic acid, are just starting to enter the market, mainly in compost bags, food containers, cups and disposable tableware. Manufacturers need support while they work to reduce costs and improve performance. It also is crucial to link academic and industrial efforts, so that new discoveries can be commercialized more quickly. Today the European Union and Canada provides much more government support for discovery and development of bio-based and sustainable plastics than the United States. That must change if America wants to compete in the sustainable polymer revolution.